Stylish star Allu Arjun has registered 3 million followers on Twitter and become the sixth most popular Telugu actors on Twitter, beating beaten young tiger Junior NTR. Stylish star Allu Arjun has beaten young tiger Junior NTR to land in the sixth rank in the list of the most popular Telugu actors on Twitter. He is expected to push down natural star Nani in this list soon. Allu Arjun is one of the most active Telugu actors in social media channel and he is present on Twitter, Instagram and Facebook. In fact, he is the most popular Telugu actor on Facebook with 12,856,262 fans. He has over 3 million followers on Instagram and he is one of the top five popular T-Town stars. Allu Arjun crossed the prestigious mark of 3 million followers on Twitter a day after he celebrated his birthday. The coincidence is that the stylish star also achieved this feat on Instagram on the same day. The thrilled actor took his Twitter and Instagram pages to thank his fans. He wrote, "3M . Thank you for making me touch 3 Million. It's not MY achievement... it's your LOVE . Gratitude forever ❤️." So far, Allu Arjun has registered 3.08 million followers on Twitter and beaten Junior NTR, who boasts of 2.98 followers on the same social media channel. He has landed in the sixth rank in the list of most popular Telugu actors on Twitter. His nearest competitors are Pawan Kalyan and Nani, who have 3.52 and 3.24 followers, respectively. Here is the list of 16 most popular Telugu actors on Twitter. There are some other Tollywood stars like Adivi Sesh, Kalyan Ram, Navdeep, Rahul Ravindran, Sudheer Babu, Sundeep Kishan, Varun Sandesh, who are very active on this micro-blogging site. But this list includes the names of the actors, whose followers' count is more than 1 million. The followers' numbers are in million. 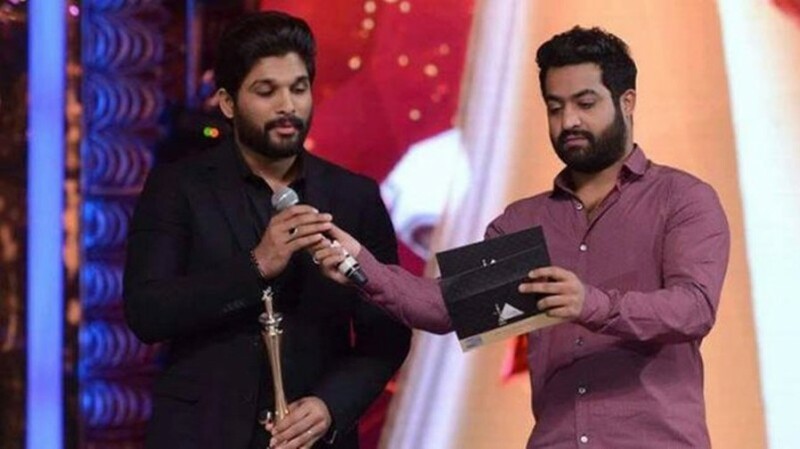 Many of Allu Arjun's fans are thrilled over his achievement and in reply to his post, they congratulated Bunny and wished him good luck. Here are some of their comments.